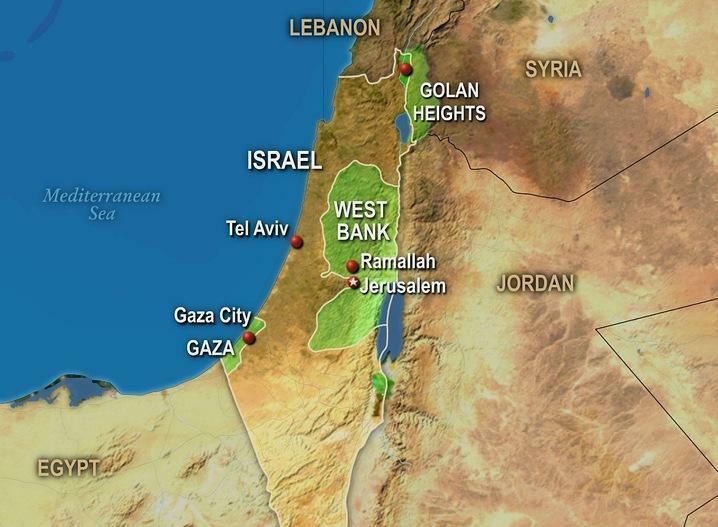 A map of Israel showing the West Bank and Gaza. A conference next week will bring together advocates seeking change in the Middle East. Friends of Sabeel North America defines itself as a Christian ecumenical group. Its Northern California chapter is assembling Christian, Muslim, Jewish and secular leaders to discuss the complicated political struggles in Israel and Palestine. News director Steve Mencher talked with conference organizer Therese Maughannam. The conference begins at Saint Rose of Lima Catholic Church Friday evening, Dec. 1, and continues at the church on Saturday. On Sunday the meeting will be held at St. John's Presbyterian Church in San Francisco. 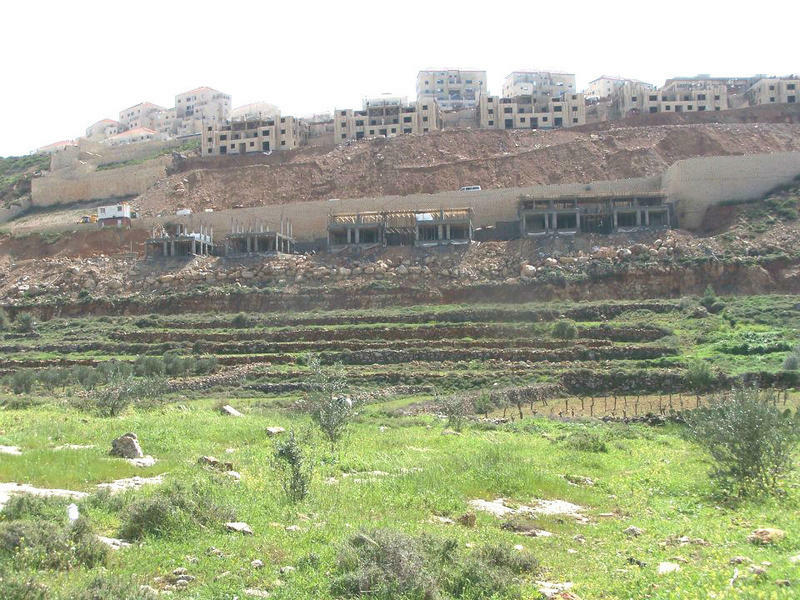 In the Palestinian Territories, the West Bank is relatively calm, at least compared to the Gaza Strip. But there are still points of conflict with neighboring Israel, especially around the continuing expansion of Israeli settlements in the region. A first-hand perspective on one such project is being presented in Santa Rosa tonight. Mayor Sokar’s talk is at 7 o’clock this evening, at the Methodist church in west Santa Rosa. The event is free. Look for further details on our website, krcb.org/news.